Greyhound made a name in the world as racing dogs. Even today they are used in racing games. 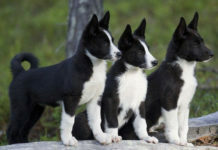 They are also the fastest dog’s breed. 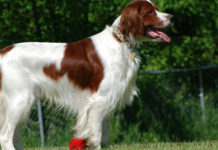 They excel in dog’s sports that involve speed and agility. Historically they were used for hunting fox, hare and deer. 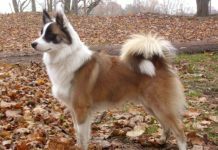 Their sweet and mild nature makes them one of the most desirable dogs for pet lovers. The dog’s long legs and slender body give it graceful appearance. The cute expression on their face can make any person fall for them. Not to forget that they are peace loving dogs, they do not like the noisy environment. Greyhounds are amiable with other animals of medium sized. But because of their hunting drive, they tend to chase small animals and cats. They are docile in nature and must be treated by a soft spoken person who doesn’t get cruel on dog. With strangers they are politely reserved. Greyhounds are one of the revered breeds of world. They have even been mentioned in bible, praised by romans and Egyptians through their artwork and poems. 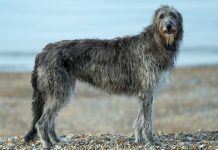 This ancient breed originated in the Middle East and North Africa. 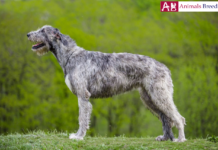 As the hunting sports gained popularity, the dog became famous throughout the European countries and got respect for its hunting abilities. Greyhounds were also the first dog that appeared in USA dog shows. 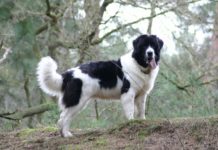 The breed got registered by American Kennel Club in 1885. They are hunting dogs and can chase small animals and cats. Greyhound’s body is perfectly built for speed. It has a slim body with long legs. 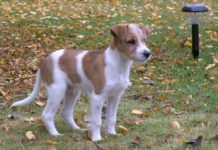 The dog sports a well-developed knuckles and hare like feet. The chest is deep and back is muscular. 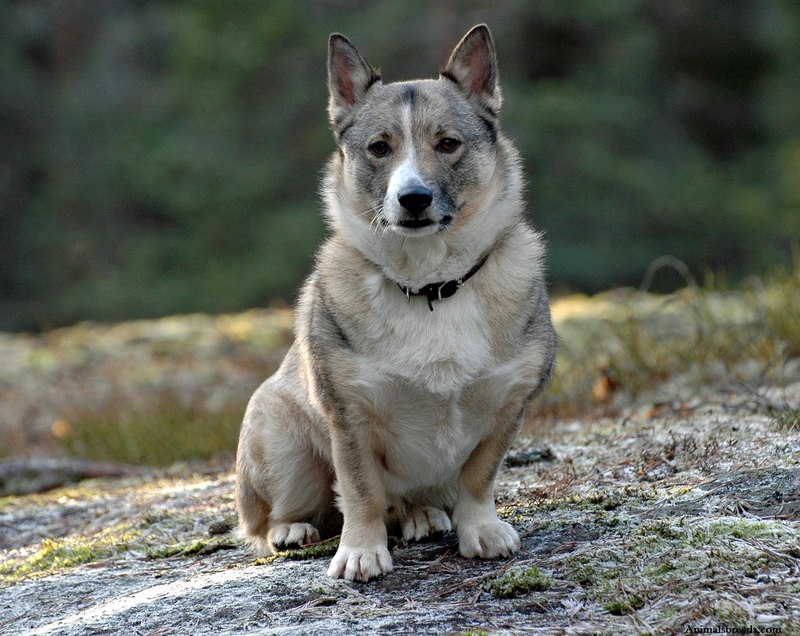 The face is elongated in shape with tapered muzzle. Eyes are dark and almond shape. Tail is carried low with slight curved. Ears are folded back and are of medium size. Size and Weight – The average height of the male greyhound is 71–76 cm while the female greyhound is 68–71 cm. female weighs around 26 to 34 kg and male weighs around 27–40 kg. 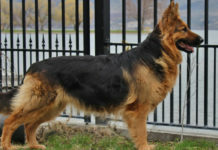 Coat and Color – They have a dense and short haired coat. Their cot is supple to touch and is hugged close to body. They are available in many colors like fawn, black, red, blue, white, brindle, white with any other color and grey. Personality – They have a graceful personality. Carrying hunting heritage, they have strong drive to chase and kill small animals. In fact historically, hunting was its primary function. They thrive in a peaceful environment away from noise and tension. 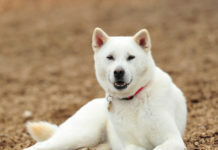 They also tend to be shy in nature but proper socialization lesson will make the dog outgoing. None other breed can match its speed and elegance. It can even defeat horses in sprint running. 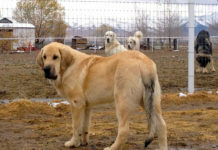 Because of their docile, well-mannered and sweet temperament they make desirable family dogs. 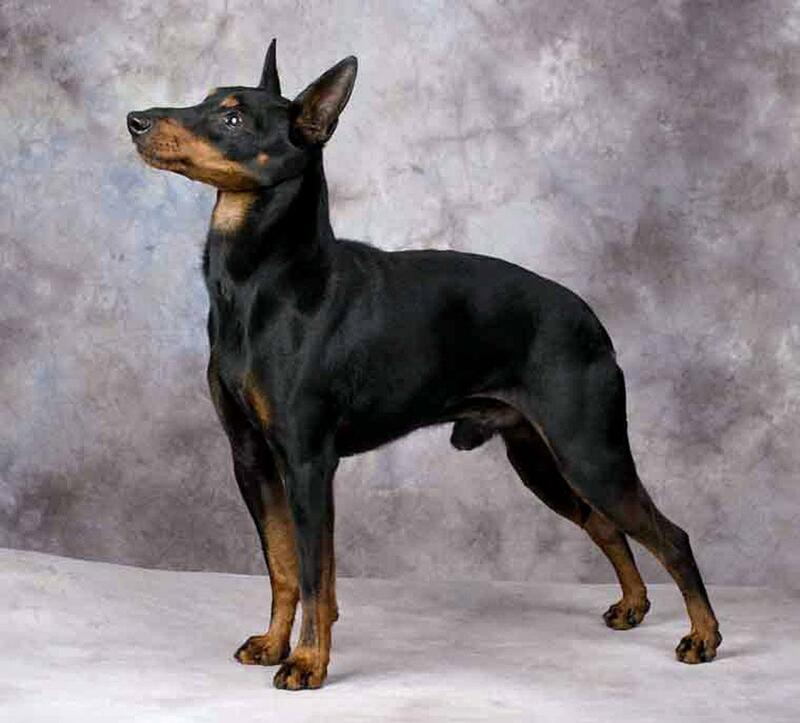 It would be delightful to add this breed as your family member. Behavioral traits – They have similar behavior as that of a cat- regal, quiet and well mannered. Being a tall dog, yard should be fenced at least 8ft high. Make sure that the dog’s park has separate section for large and small dogs. They have strong desires to chase moving objects. They love to run behind bikes and car. 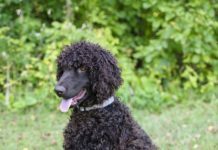 Trainability – They are docile natured dogs and need to be treated gently even while giving it training. Socialization skills are a must for this dog. Frequent appreciation and treats act as catalyst in training them. As they are incredibly sensitive so rude or cruel behavior can cause physiological problems in them. Give this dog love, and it will all be yours. 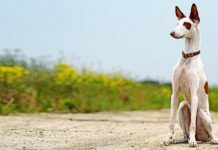 Comparatively dog is easy to train even for the first time dog owners. 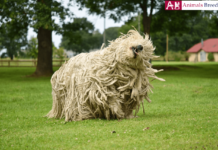 Activities Requirement – You don’t need to be Usain Bolt to pet this dog. The dog is great for agility but not for endurance. With few sprints in a day the dog will spend his entire day by relaxing. You can take your dog to sprint track where it can perform exercise by own. They are adaptable to urban life as long as you take it for long walks and to sprint track. A well-balanced diet is essential for optimum development of its health. 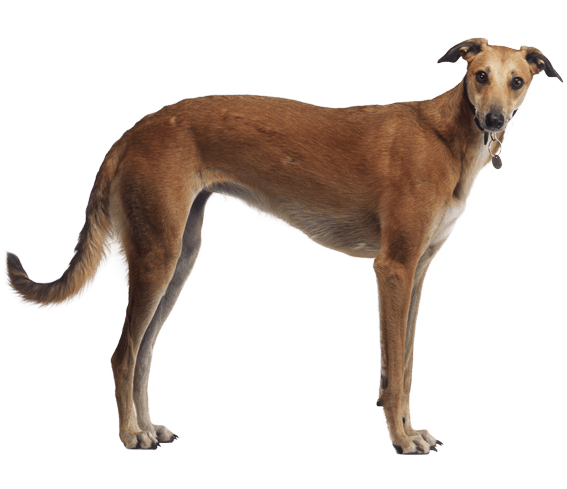 Greyhound should be fed 250-300 grams of meat per day which should be supplemented with vegetables, flaxseed and fish oil. It is important to remove the excess visible fat from the meat like skin and bones. The dog loves fruit and considers it as a treat. Carrot, beans and cucumber are great for dogs. You can also give dog’s pasta to your pet as a treat. 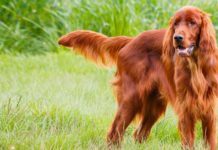 The lifespan of the dog is similar to any other kind of purebred dogs i.e. 12 to 14 years. 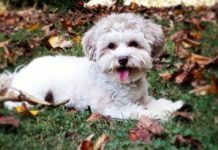 Anesthesia Sensitivity – Because of presence of low body fat, anesthesia dose can even kill a dog. Hypothyroidism – In this the body is not able to produce right amount of hormones which can cause infertility. Osteosarcoma – It is a deadly state of bone cancer. Large dogs are prone to this disease. Gastric Torsion (Bloat) – Stomach of the dog gets swelled up because of release of excess acidic enzymes. 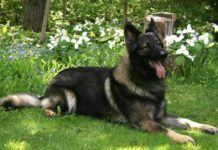 The dog can do well in urban areas provided it is given space to walk and do sprinting exercise. Because of large size it thrives well in a house accompanied with yard which fenced all around. They cannot survive in extreme cold climatic areas. They can be your perfect partner in hunting hare, fox and deer. They are not hypoallergenic in nature.